While investigating the murder of a Gothamite, Batman identifies his prime suspect as Lamont Cranston. But there are two problems with that: first, Batman is not aware of Lamont's alter ego as the master detective known as the Shadow; second, and more importantly, Cranston seems to have died over half a century ago! 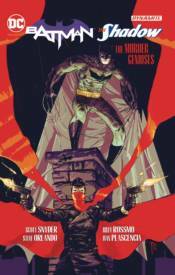 Collects BATMAN/THE SHADOW #1-6.